Ben Darwin is a highly respected former Australian Rugby international. A product of the Australian Institute of Sport scholarship program, during his seven-year career he used positive mental strength and a dedicated work ethic to overcome many setbacks and achieve his goal of becoming Australia’s best tight head prop. As a member of the ACT Brumbies he played in four consecutive Super-12 finals series including the 2001 Grand Final triumph. 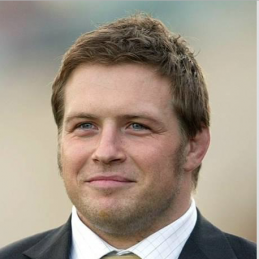 As a Wallaby he played in 28 Tests, winning two Bledisloe Cups and a Test series win against the British Lions in 2001. During the 2003 Rugby World Cup semi-final against New Zealand, Ben suffered a career-ending neck injury. Following his retirement, Ben began a coaching career that would include stints with Norths in Sydney, the Western Force, the Melbourne Rebels and Suntory Sungoliath in Japan. Ben is also a regular contributor to Rugbyzone.com. Ben has become a popular motivational speaker, delivering on topics of team dynamics, leadership, sport/life balance and emotional intelligence.